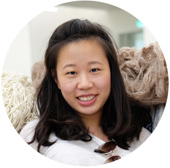 I knew that I wanted to have a traditional Singaporean breakfast - which meant kaya toast and soft boiled eggs! 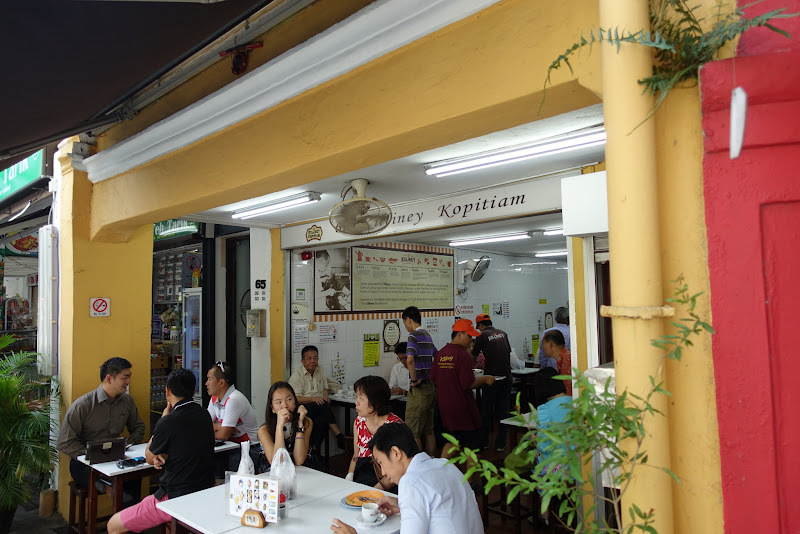 From my research, there seemed to be two popular chains: Ya Kun Kaya Toast and Killiney Kopitiam. Based on the recommendation of an online friend (thanks, Boffan! 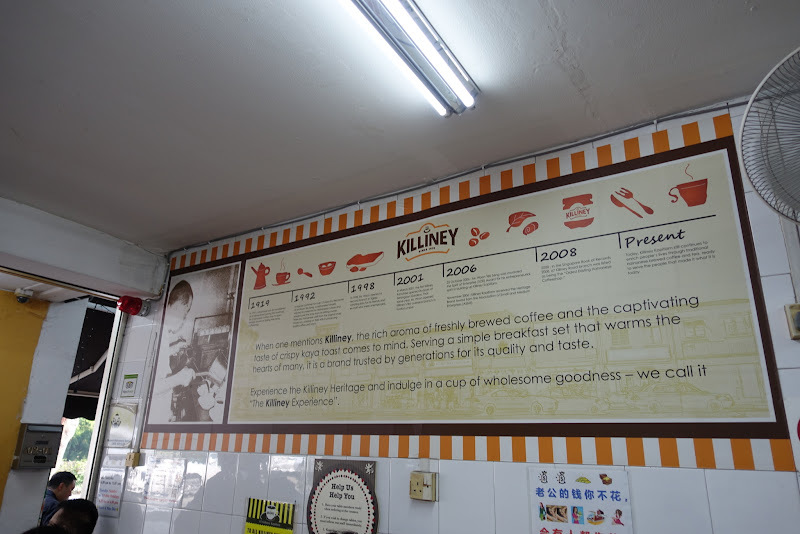 ), we decided to go to the original location of Killiney Kopitiam at 67 Killiney Rd (near Somerset MRT station). We just walked from our hotel, which took about 20 minutes. Lots of locals hanging out, getting their breakfast on. Actually, it was pretty late already (9am) and some people were digging into some more substantial dishes. 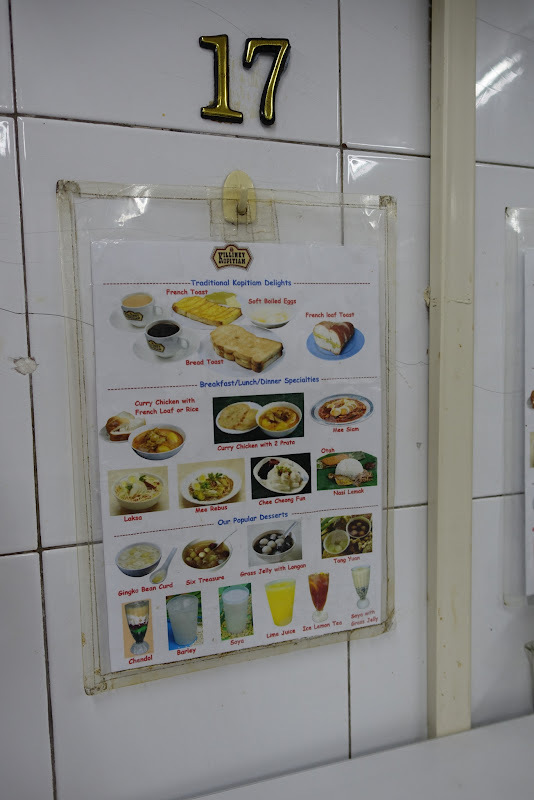 The menu posted on the wall. Claim your seats first and remember your table number. Then go up to the counter and order (prepay). They speak English to you here, yay! 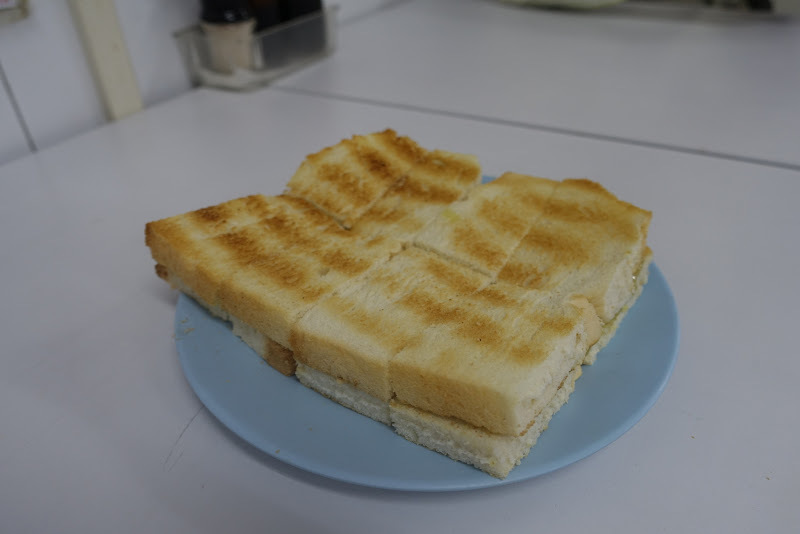 So you don't get it wrong - order kaya toast (labeled "bread toast" on the menu), soft boiled eggs, coffee with milk for each person. I didn't know what to order and apparently created a huge line behind me which agitated Cory (lol). To be fair, the guy in front of me was also taking a long time. After a few minutes, they brought us our breakfast! The soft boiled eggs are given to you in their shell, and hot as hell. You have to break them open yourself here (at the airport outlet, it was already done for you). Woah they are HOT. Good luck. 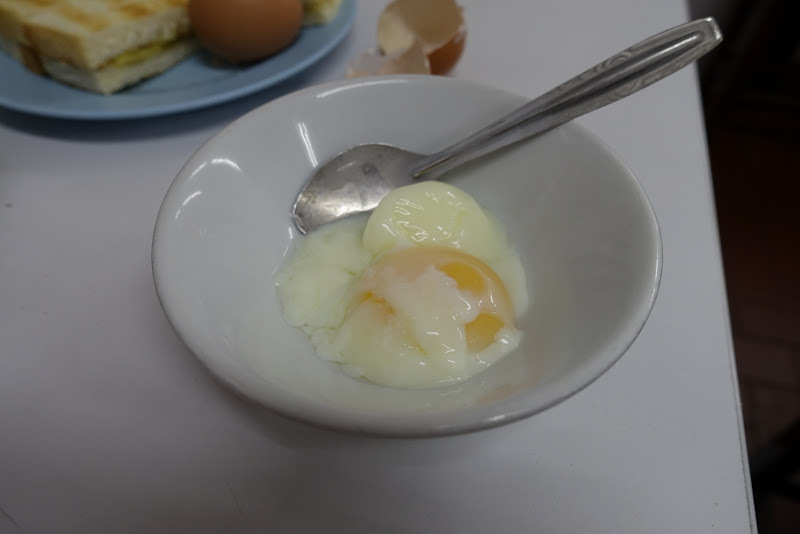 Dip your toast into the soft yolk. I saw some locals mix soy sauce into their eggs, but I regrettably did not try. Plus a very nice cup of coffee with milk. FYI, if you see "Milo" on the menu, is hot chocolate! Bottom Line: I highly recommend this original location for breakfast! I'm not sure how the other outlets are (the one at the airport was awful), or how Ya Kun compares. 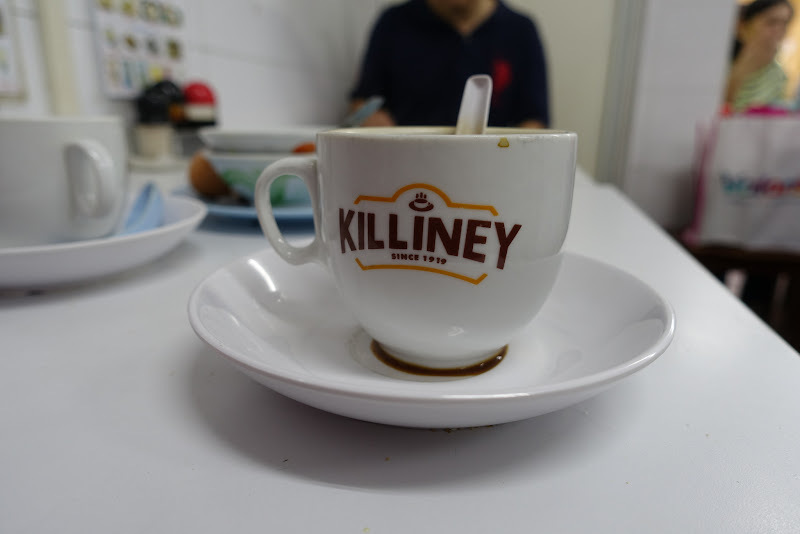 Judging by the Ya Kun we saw in an underground mall near our hotel, I'd say Ya Kun is like Dunkin Donuts, while Killiney Kopitiam is like Timmies. That reference is probably only useful for Canadians. Sorry.